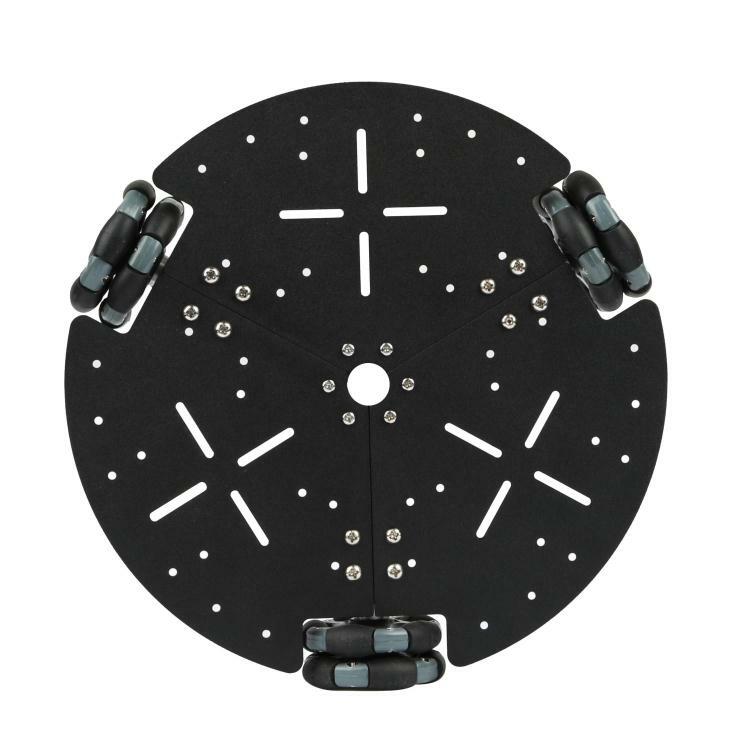 The omni-directional movement can be realized by using the omnidirectional wheel technology of the three wheel drive omnidirectional wheel platform. It includes vertical movement and horizontal movement. The main part of the car consists of the motor and the omnidirectional wheel. 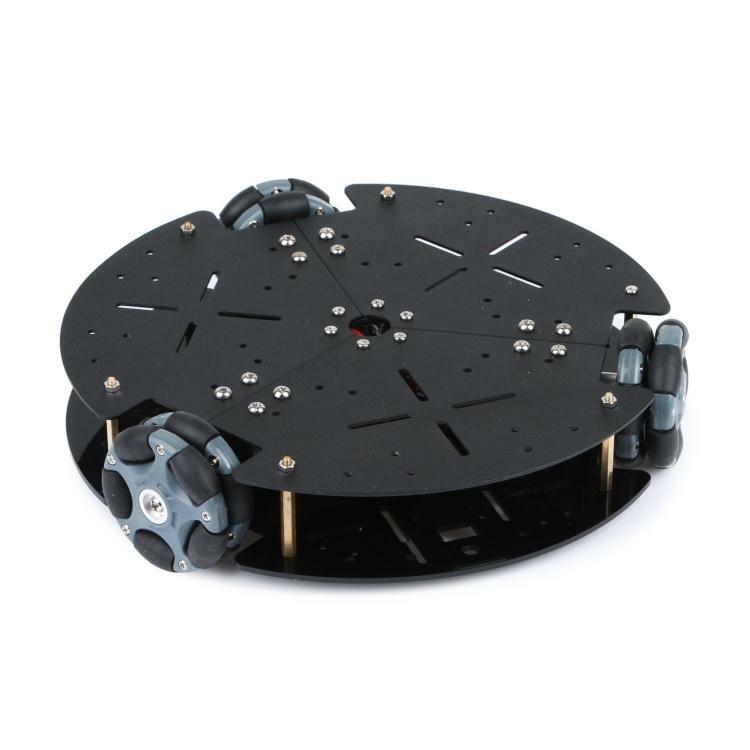 The double layer triangular platform, free to increase the number of layers, can provide more space, such as controllers, sensors, cameras and other electronic devices. 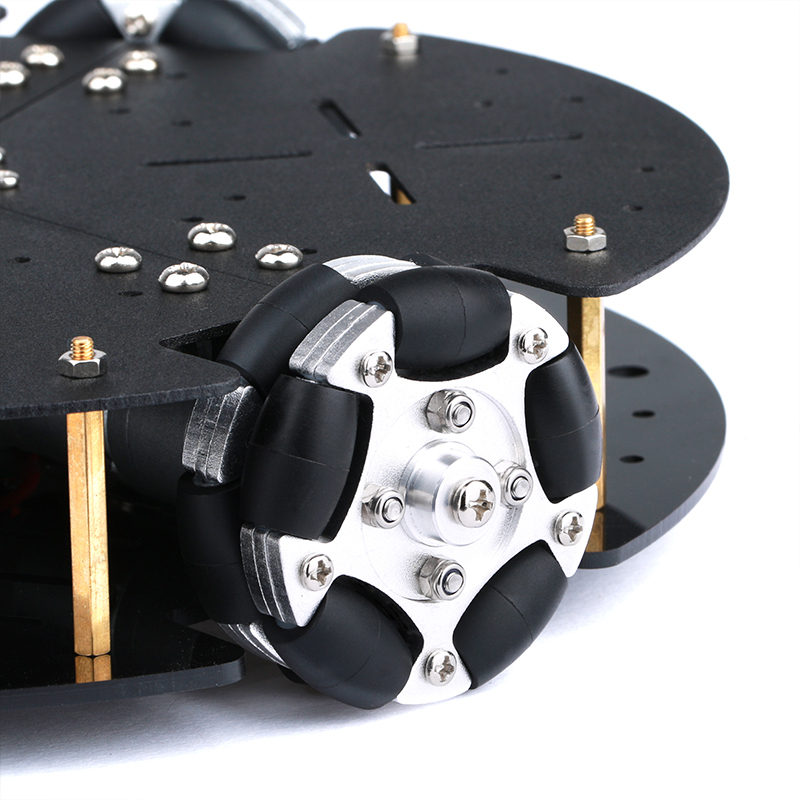 Suitable for user DIY, a very good Omni omnidirectional wheel car learning chassis! 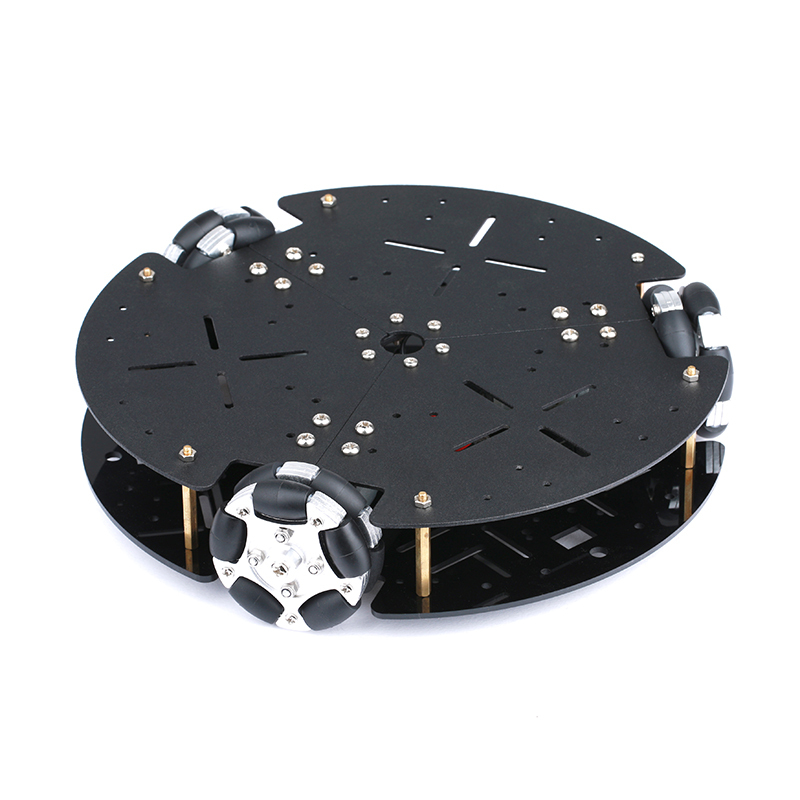 The two package is divided into Holzer encoder and photoelectric encoder. It only has the same speed accuracy. The other parts are exactly the same. They need high accuracy. Please choose the 360 line photoelectric encoder. In general, you can use the 13 wire Holzer speed measurement. The 360 line and the 13 line are the original speed measurement precision, the output pulse number = the number of the original line * reduction ratio!